Whether you’ve just left state education, or you’re in your later years, e-learning can be a great way for you to advance your skills and knowledge, and at your own pace, in your own home, around any other commitments. However, it’s not for everyone. You have to be self-disciplined and motivated and stick to a strong study schedule. If it doesn’t sound like it would work for you, you should look at more traditional options, but if you do decide to pursue a course online, here’s how you can make a success of it. As with all types of higher or further education, you need to choose carefully. Quite literally do your homework to find the best form of studies for you. 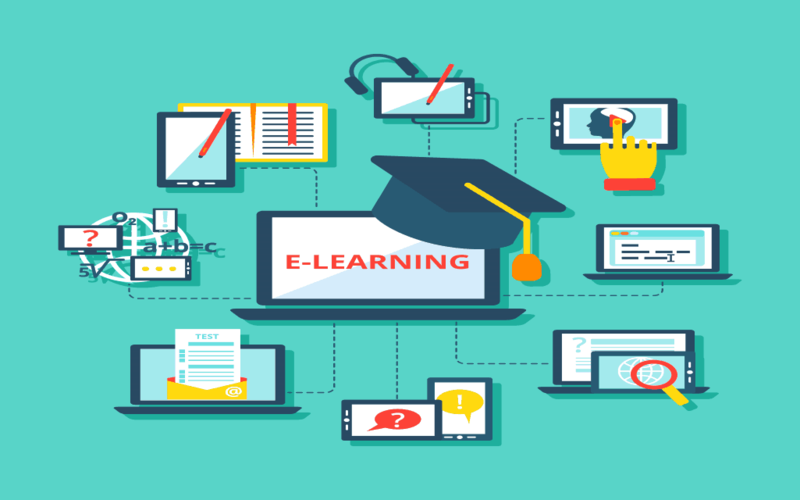 If you’re going for an e-learning option, have a good look around the main providers and go through the details of what each is offering. You’ll want to know how many hours you need to be putting in and what help and support you can access during your studies. You will also need to consider how much it’s going to cost you and how well received the study programs have been, in other words, check out some testimonials and get some word-of-mouth recommendations. Of course, the provider is only one part of your homework when you are looking for an e-learning course. You will also need to choose a particular study program. You need to decide what subject you want to study, and whether you want to focus on any aspects. You should be asking yourself, what do I want to get out of this course? What job do I want to aim for, and is this the best course for my needs? There are online courses dedicated to all matter of subjects and specialisms. An online mba, for example, could cover marketing and accountancy. Delve deep into the different options being advertised, see what modules they include and whether you can tailor make something for your career aspirations. Before you start your online studies, make sure that you set aside an area of your home to do your work. You need to pick a corner that’s quiet, free from distractions from family or housemates, and somewhere you feel comfortable. You need to equip your study area with a desk and a chair, and you need to kit yourself out with a reliable computer or laptop and printer. Most of all, your study space needs to be just that. An area to study. It is important psychologically because if you just see it as another part of your home, you might be more tempted to be distracted, to watch TV, listen to music, something that takes your mind off your education. It’s rather like a home office when you run a business; you have to draw an invisible line between home-life and work. No matter how much time you are dedicating to your online studies, you need to have a plan in place for your work. Therefore, think about which subjects you need to look at, what coursework you need to complete and the deadlines that you need to meet. Then set up a plan, which you can do online, with details of what you need to be doing hour-by-hour, day-by-day and stick to it as much as possible. With no plan in place and no deadlines, you are likely to be setting yourself up for a fall. Your study organizer will be the backbone of your online education and will help you to focus and get through your course efficiently and effectively. If you have to divert from it for any reason, just make sure you allow other time to catch up and get back on track. When you’re studying online, it can sometimes feel that you’re all alone. You shouldn’t feel like that. Make sure you make full use of online tutors and other points of contact to ask any questions and get any guidance you need. Also find out if there are any chat groups for fellow students, where you can share ideas and experiences. It will help you enjoy your studies, as well as earn a qualification.